The marketing goal was to position JMH as the leader in providing health and wellness resources for the people in and around Johnson County. We wanted to communicate the vision of the expanded JMH network and to be the first source that community members turn to for all of their healthcare needs. In the first half of 2015, we focused on optimizing the website for mobile and building a solid lead capture system. 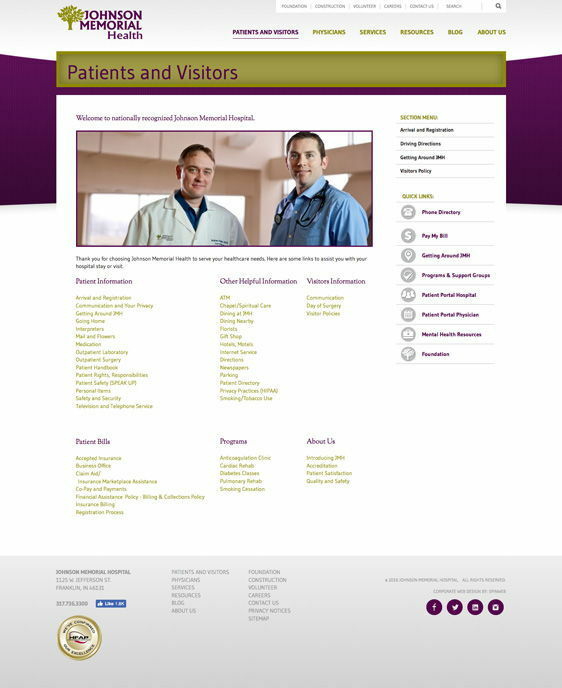 Next, we created and implemented a variety of inbound marketing devices on the website -- CTAs, landing page lead generation forms, and forms for new patient sign-up and scheduling. During that time, we increased content production -- 2x a week blogging and building long-form content offers. One of our first big content-driven successes was a Health and Wellness Challenge email course. The 6-week campaign in August was a pilot program and JMH reported that they were very pleased with the success of the pilot. We plan to repurpose this workflow for future wellness challenges and educational email courses. The sign-up page received a healthy 20% submission rate, and an 8% new contact rate. include increasing the contacts database by leveraging well-received campaigns like the wellness email course. 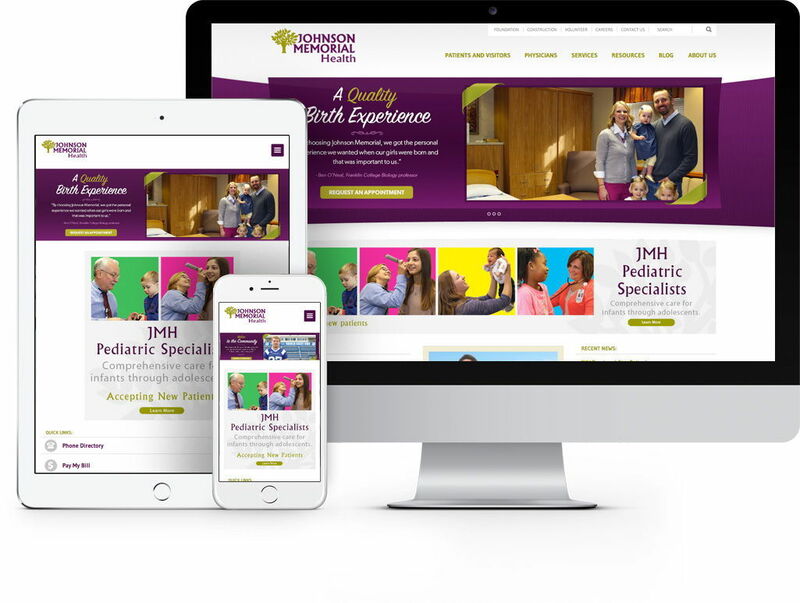 Part of our digital marketing engagement with Johnson Memorial Health was extensive website updates. We optimized content, updated graphics and banners on the homepage, and used strategic CTAs throughout the website. 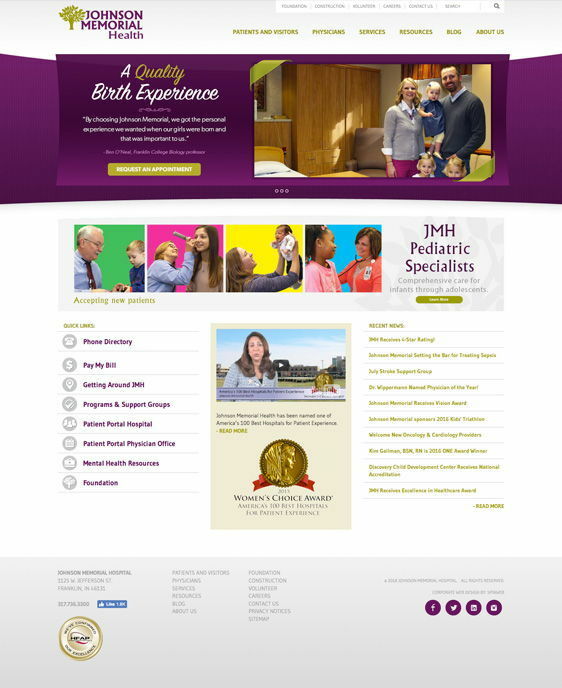 We were able to work with JMH's budget to optimize the website in its current state and give them time to prepare for a complete redesign project in the near future. Work with the healthcare industry?